Staggs does more than just discuss Sirk’s adaptation of the film. He discusses the novel, the 1934 film version, the pre-production process of Sirk’s film, the casting process and on through the film’s release. Included are some disturbing facts about the film’s production, such as the fact that Susan Kohner was actually beat by Troy Donahue during their characters’ major fight scene. She had to miss a few days of work after the scene was filmed due to her injuries. It’s clear that Staggs put an incredible amount of effort into researching this book. “Insider” information comes from interviews with those involved in the production, including the great Juanita Moore, who sounds like the coolest lady in the world from Staggs’ experience with her. 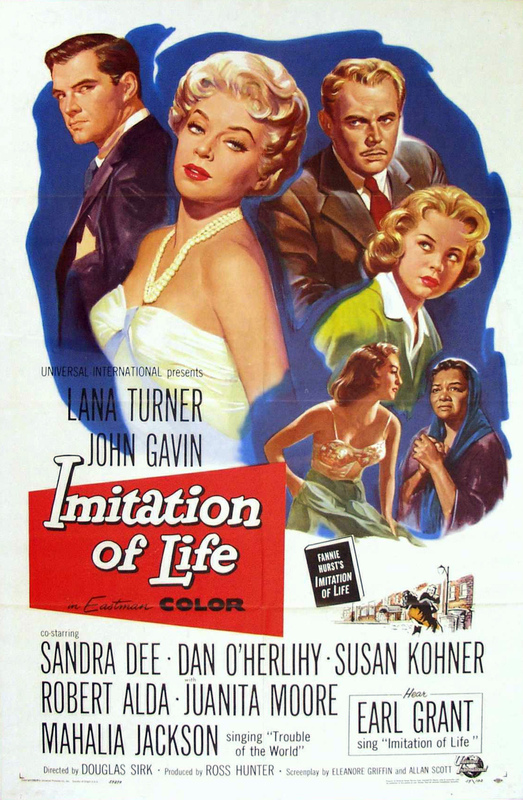 Staggs got to know Moore pretty well through the extensive interview process, and he describes her as just about the polar opposite of her Imitation of Life character. She’s very outspoken and has a killer sense of humor, but encountered a lot of hurt throughout her life and career as well. She doesn’t shy away from shedding light on the worst aspects of being an African American actress in midcentury Hollywood. This perspective is a very valuable one to share, especially given the film’s racially charged subject matter. 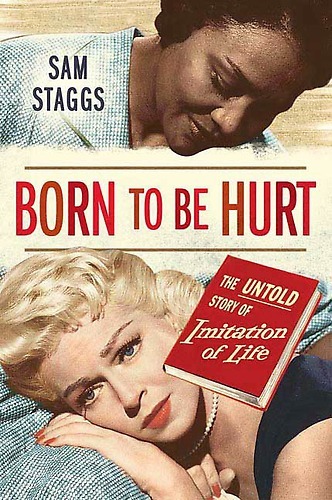 “Born to Be Hurt” is a book that I would very highly recommend to fans of Sirk’s Imitation of Life. This is the definition of an in-depth exploration of a film, and Staggs couldn’t have chosen a more fascinating film to explore. I look forward to reading the rest of his work, including his book on All About Eve! While Troy Donahue beats Susan Kohner in the movie, ironically, a hero, yet another Troy, this time Troy Cansler gave his life saving a woman! Troy Donahue’s real name was Frederick Merle Johnson, Jr. while Troy Cansler’s real name was Ambers O’Neal Shewmaker, Jr. Crazy World! Troy Donahue and Troy Cansler both born in January. Both died at age the ends with an odd number. Troy Donahue was born on the 27th and Troy Cansler died on the 27th.